With pending changes to medical device classification like hearing aids, consumers are faced with more and more options on how to deal with hearing loss. As more options become available there are things you need to consider with where and how you are buying your hearing aids. Can you buy hearing aids at your local Big Box store? Yes. Are the hearing aids you get from the Big Box store as good as getting them from a licensed hearing aid dispenser? Sometimes. Will the the Big Box store provide you with the type of service and care needed to keep your hearing aids working towards the optimal outcome? Absolutely not. When thinking about where to buy a hearing aid, there is a quick question you should ask yourself, “Do I want to buy a medical device to help me hear better at the same place I buy my toilet paper in bulk?” The answer to that question is probably, or at the very least should be, a resounding no. When buying a medical device like a hearing aid, you need to go through an Audiologist or Hearing Instrument Specialist, both of which we have on staff at Hearing Solutions. At Acute Hearing, we use cutting edge technology to test and measure your hearing and the amount of hearing loss you are experiencing. The relationship doesn’t end at the hearing evaluation or even the sale. We offer regular services like cleanings and repairs along with quarterly and annual check-ups to ensure your hearing aids are working the way they are supposed to work. To recap, when it comes to your hearing it is as important as an annual visit to your doctor, dentist or optometrist. 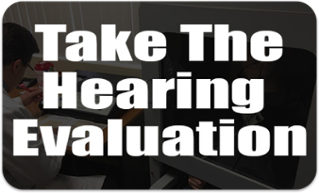 At Acute Hearing your hearing evaluation is just the start of your long-term relationship with us. We will be there with your testing, cleaning and optimizing your hearing health for years to come, because follow-up care is vital to the care of your hearing aids’ performance. Acute Hearing is a 3rd generation, family-owned hearing healthcare practice providing hearing excellence and outstanding patient care and hearing health from Southwest Ohio to Central Kentucky. We have earned a reputation for knowledge, respect, and kindness, having helped thousands of people to hear and improve communication for over 65 years. Acute Hearing is the Clear Winner! Concerned about your level of hearing loss? Find out if a visit to one of our hearing instrument specialist can help.